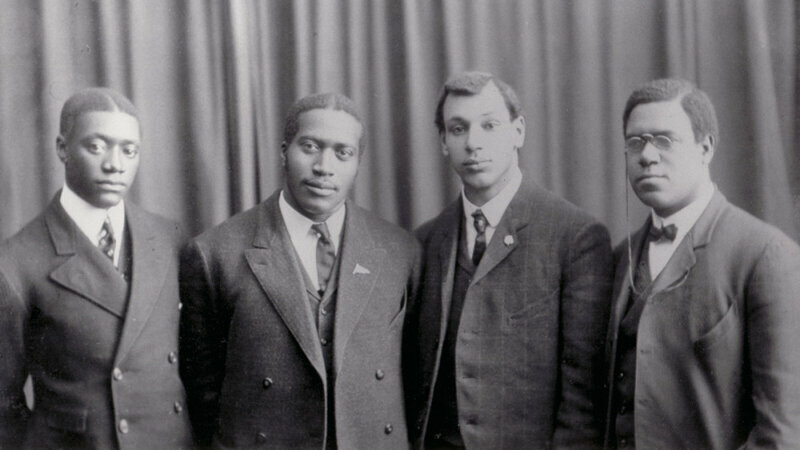 The Fisk University Jubilee Quartet in 1909, from left: Alfred G. King (first bass), James A. Myers (second tenor), Noah W. Ryder (second bass) and John W. Work II (first tenor). Abbott, Lynn, and Doug Seroff. To Do This, You Must Know How: Music Pedagogy in the Black Gospel Quartet Tradition. Jackson, MS: University Press of Mississippi, 2013. The authors discuss how the jubilee quartet tradition emanated from the revival of university-based vocal harmony singing, most notably the Fisk Jubilee Quartet and its leader, John Work II. They further examine the mining camps of Birmingham and Bessemer, Alabama, and on to Chicago and New Orleans. Early in the twentieth century there were countless initiatives in support of African American vocal music training conducted on both national and local levels. Later, singers such as Silas Steele added the pulpit zeal of the Baptist preacher to jubilee quartet, opening the door for the hard gospel quartet style that dominated the 1950s and 1960s.